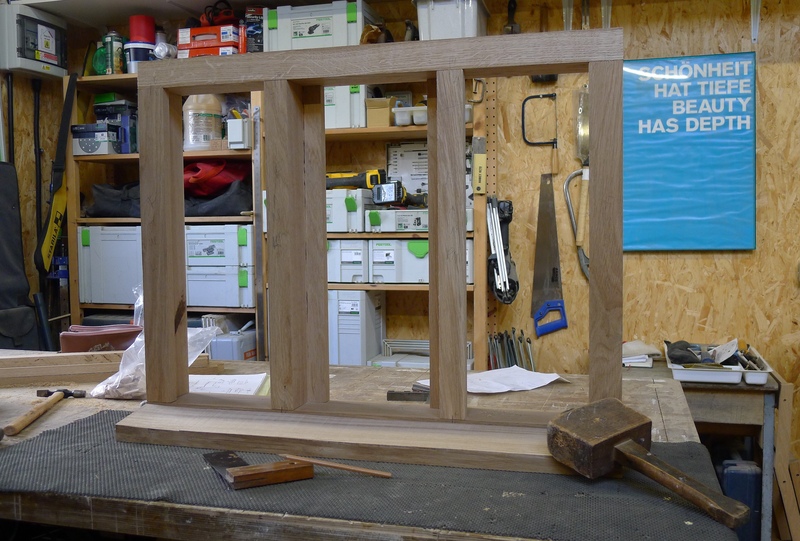 Richard is making windows. Eight of them. Made from sustainably sourced oak supplied by our local timber yard, each one is different. Inspired by old Welsh farmhouses, they are a modern take on an old style designed to keep the weather out, the heat in, and the spectacular views framed. Nicely done.